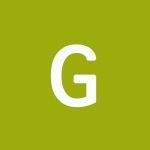 "Exceptionally efficient and productive marketplace for the green industry"
The Green Industry & Equipment Expo will display products like an exclusive trade event which is absolutely an exclusive eco-friendly exposition of America. 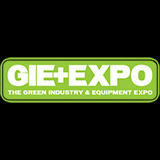 The Green Industry and Equipment Expo will be an elaborate event based on the executive green expansion of the region. This show will help business units reap the benefits of the green industry expansion and will help companies increase their market base etc. 4 21 Oct 2018 Sarah Woolhether Customer Service Executive at FZE Manufacturing Solutions, LLC. Great experience. Exciting to see the new platforms and ideas each of the different companies has in the works. 5 27 Oct 2017 Allen Tang GIE show at Aries Products, Inc. The traffic was good on the first day and we met some potential customers. Exhibiting at The Green Industry and Equipment Expo will be manufacturers and suppliers of lawn and garden products, outdoor leisure products, rental lines, outdoor power equipment and related products.